Watched Wreck It Ralph and The LEGO Movie and How To Train Your Dragon. Wreck It Ralph was a very charming movie, particularly on a visual level. I loved the old-timey video-game aesthetic. I also thought it made some bold choices, in that it didn’t try to cover too many games and make too many kinds of jokes. The bulk of the story took place in one video-game world: a candy-themed Mario Kart style racing game world. And the structure was also interesting in that the B plot–about a side-character who really wants to be able to race in the candy world–sort of became the main plot of the story. When a sideplot takes on too much weight, it’s normally a sign that the themes and character arcs of a story are miscalibrated. In this case, Ralph, who is the villain in his game world, wants everyone to love him, so he goes off in search of ‘medals.’ And it’s in trying to win a medal that he ends up helping the girl. The problem is that the story doesn’t really want to think too hard about why people don’t like Ralph. Like, he’s not actually a villain. He’s just a guy who’s doing his job. Peoples’ prejudice against him is completely unfounded. But the story wants him to be a villain who gets redeemed and then tries to twist the story around so that’s what it is. I mean, he does some praiseworthy and heroic stuff later on, but he doesn’t really need to do that stuff because that’s not really what the movie is about. Anyway, it was all very all-over-the-place, but what saves it is just that Ralph’s emotional struggle just feels very real. He feels so sad and so forlorn and so angry. It’s a story that just allows him to feel the things that he needs to feel. And even if it doesn’t have quite the right plot to put him into, his emotions still feel right. The LEGO Movie, in contrast, is absolutely perfect. Everything fits together like, well, a perfectly constructed LEGO kit. Here the story is about a LEGO dude who’s completely dull and boring and ordinary…who discovers a secret desire inside himself to be special. And it’s all about the desire to be special and creative and better than average. Of course, since it’s a kid movie, it doesn’t look at how disquieting that notion of specialness is, but it at least doesn’t pander to us by just giving us an ordinary schmo for the audience to identify with and then somehow, magically, turning him into a special and wonderful person. 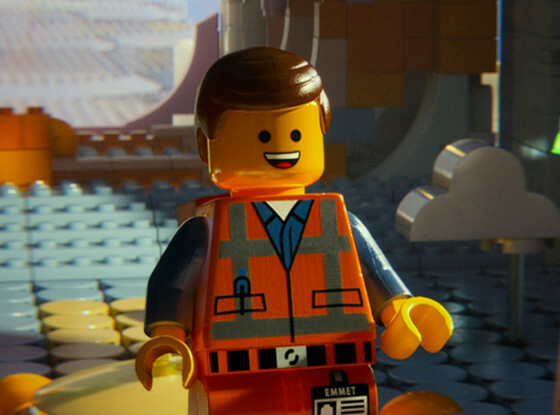 It’s really difficult to overstate how great the LEGO Movie is. Even the animation style is fantastic. It really does look like you’re in a lego world and are watching lego people move around. For instance, even the smoke and the water are made of bits of lego. And all the lego peoples’ movements are really stiff and lego-like. It’s brilly. I did not like How To Train Your Dragon and, in fact, stopped watching it halfway through. The whole thing just felt a bit blah.